Our modern lighting systems are among the most vital aspects of our homes. Can you even imagine, in this day and age, feeling your way around in the dark to find the matches you dropped, unable to light your lantern? Of course, we don’t even have to consider this as a possibility anymore, as we have all of the electricity that we need for powering our indoor lighting systems reliably and conveniently. This is not to say, though, that modern indoor lighting in Newington, CT means that you’ll never run into trouble with your lighting system. 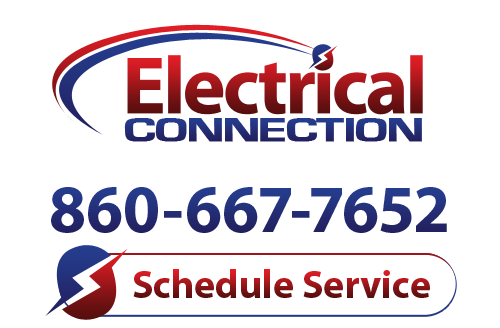 Contact Electrical Connection, Inc. the moment that you discover any such problem. You may think that a flickering light in your home is little more than an annoyance. In truth, though, these flickering lights can indicate a need for serious repairs, or even signal the development of dangerous operating conditions. Below are some of the more common underlying causes of flickering lights. A compromised bulb is, thankfully, the most likely culprit of a single flickering light in the home. Replacing the lightbulb should resolve the problem if this is the case. Sometimes, problems really are as simple as damaged bulb filament or bad contact points. A fluctuation in voltage could also lead to flickering lights. This is when professionals need to get involved. Flickering lights or frequent burnouts due to excessive voltage fluctuations are the least of your worries in such instances. This is another reason as to why you should hire a professional electrician; pinpointing the source of even common problems is quite tricky. Loose or damaged wiring is another possibility, and any wiring issues can prove to be quite dangerous. If your light switch is warm to the touch, you see corroded or damaged wiring, or you notice any other potential issues with the wiring in your home, dial our number immediately. We are happy to help you use electricity more safely in your home.